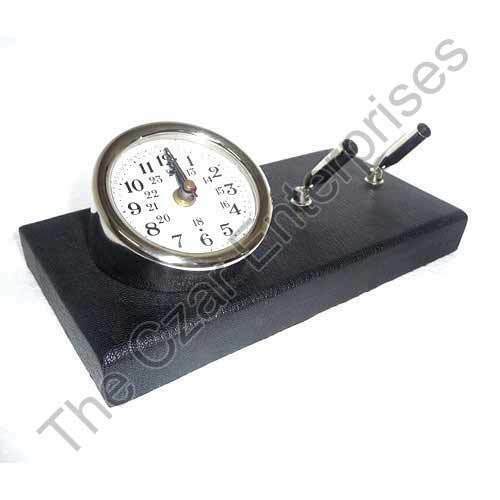 We are one of the preeminent manufacturers, suppliers and exporters of an impeccable array of Pen Holder With Clocks. The offered range is manufactured using high-grade brass so that it is in compliance with international quality standards. All our products are highly applauded by customers for theirexquisite design, smooth finishing and picturesque painting on the surface.